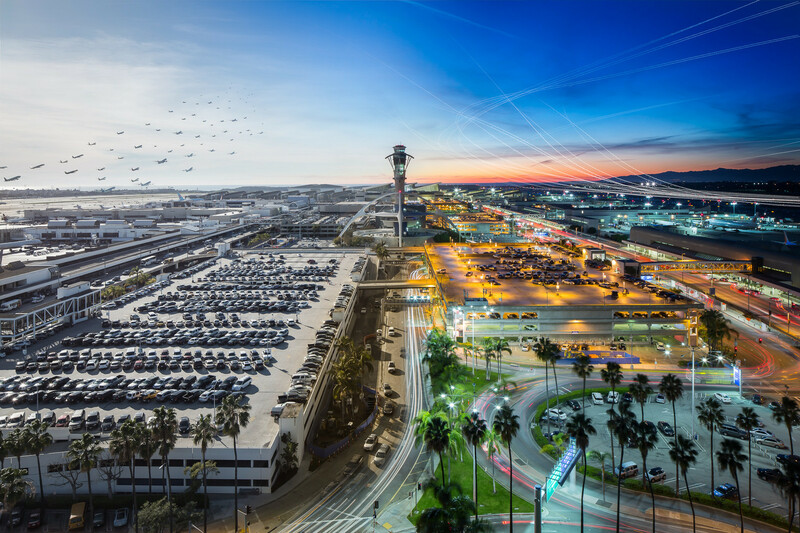 The image shows how LAX changes from day to night. Kelley took standard shots of every flight taking off throughout the day; for the night scene he used long exposure. In post production, he layered the plane photos and used layer blending techniques to seamlessly blend the images together. The final scene really shows the hustle and magic of the airport.